Shaykh Hamza Yusuf embraced Islam in 1977. He spent several years studying in the Middle East and Africa under numerous scholars. Currently, he is the director and co-founder of the Zaytuna Institute, in California, which is dedicated to the Revival of Islamic Sciences and the preservation of traditional teaching methods. 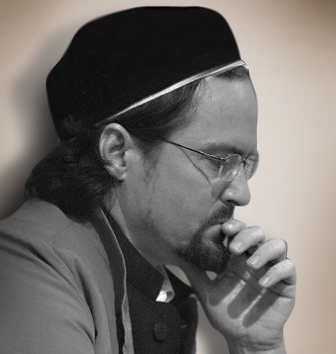 Shaykh Hamza Yusuf Hanson was born in Walla Walla, Washington and raised in Northern California. He became Muslim in 1977 in Santa Barbara, California and subsequently moved to the Middle East and studied Arabic and Islam for four years in the United Arab Emirates and later in Madina, Algeria, Morocco, and West Africa for many years. He received teaching licenses in various Islamic subjects from several well-known scholars in various countries. After a ten-year sojourn of studies abroad, he returned to the USA and took degrees in nursing from Imperial Valley College and religious studies at San Jose State University. He has traveled all over the world giving talks on Islam and has translated several classical texts from Arabic. He presently teaches at Zaytuna Institute in Hayward, California, where he lives with his wife and children.